dcs plus has been ranked on the Deloitte Technology Fast 500 EMEA 2015, a ranking of the 500 fastest growing technology company in Europe, Middle East and Africa. dcs plus has been ranked on the Deloitte Technology Fast 500 EMEA 2015, a ranking of the 500 fastest growing technology companies in Europe, Middle East and Africa, which is now in its 15th year. 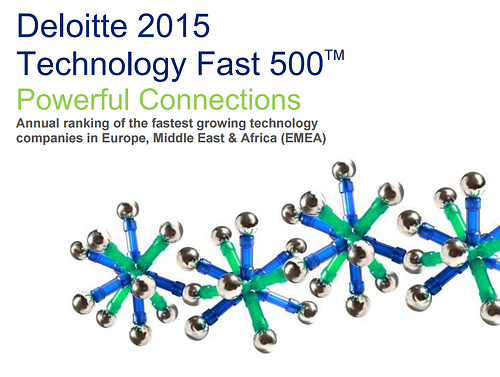 Deloitte Technology Fast 500 EMEA 2015 is an important brand by itself – being awarded, means gaining even more recognition of our brand’s value, reputation and credibility at both regional and global levels. It also translates into a boost in our pride and confidence, brings added value to what we do and strengthens our leading position of global IT solutions provider in the travel market. Deloitte Technology Fast 500 EMEA is one of Europe's most objective rankings for the technology, media and telecommunications industries. It was created to recognize the effort and dedication of those 500 fastest-growing technology companies in Europe, the Middle East and Africa (EMEA) and includes all areas of technology: from Internet to biotechnology; from medical and scientific to computers. It includes both public and private companies. Get in touch with dcs plus team!